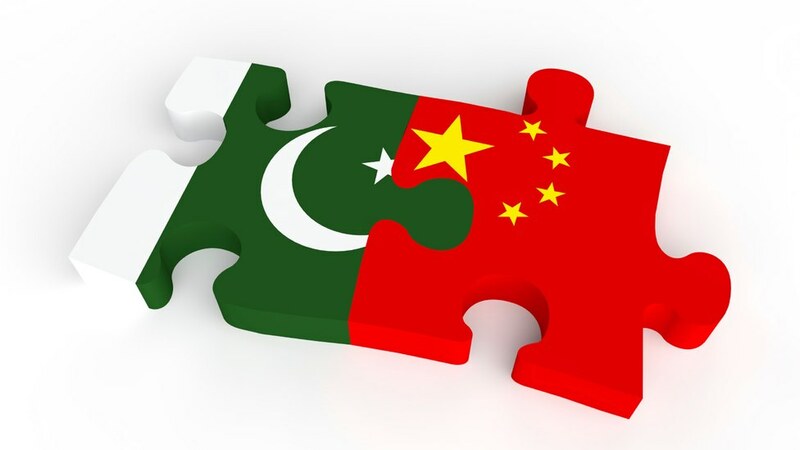 This is the first article in a series of articles which will examine FDI, CPEC and IPRs. There is a lot of talk about the ‘ease of doing business’ but it is essential to first understand how it is possible to make doing business easy and why it is so necessary to do so. Increasing the ‘ease of doing business’ results in more investment, which consequently contributes to the growth of the economy. This investment can come from a foreign entity directly in the country in various ways. Such an investment is regarded as FDI, which is examined below. The definition of foreign direct investment (FDI) is essential in understanding its nature and functions. The Balance of Payments Manual: Fifth Edition (BPM5), defines FDI as a form of investment which is made with the objective to acquire ‘lasting’ or retentive interests in those enterprises which are operating outside the jurisdiction of the economy in which the investor is located. In addition, it is by way of investment that the investor seeks a degree of control or an ‘effective voice’ in the management and operations of the enterprise. The BPM5 also proposes that a minimum 10% ownership of equity can guarantee such control. The OECD Benchmark Definition of Foreign Direct Investment (Fourth Edition) provides a similar definition which includes some of the same salient features. In this definition, emphasis is on the long-lasting relationship that results between the investor and the recipient, whereby voting rights acquired by having a 10% or more ownership of equity may symbolise this long-term relationship. The definition ends with a note of caution that the criterion of 10% ownership of shares should be strictly applied for the sake of consistency. It thus becomes clear that not every investment qualifies as FDI. The threshold of having at least 10% ownership is common in the definitions provided by both IMF and OECD. However, an internationally agreeable definition of FDI may account for increased homogeneity and accurate compilation of records and statistics regarding it. As for multinational enterprises (MNEs), Jones (1996) has defined an MNE as that enterprise which controls the operation or assets responsible for the generation of income in multiple countries. He has further explained that FDI traditionally acts as a ‘proxy’ to gauge both the direction and extent of engagements of the MNE. Some put it in more general terms and regard any investment by any MNE in a country as FDI, except for the home country of the MNE. MNEs have recently gained more prominence. Their global standing along with their contributions have earned them increasing recognition. FDI is one of the most effective modes by which a local enterprise can evolve into a multinational entity. In the earlier years of industrialisation and globalisation, only large corporations which were already well-established at that time were involved in most of the international trade and business transactions. In recent times, the environment has changed radically. We can see some very young and modest-sized organisations penetrating the international arena and making their name. This is a very encouraging sign. One of the reasons this has been possible is because of the removal of strictures that used to surround foreign investment, making it considerably difficult for new corporations to descry their niche at the international level. Economies have empirically witnessed and experienced the fruits of FDI, hence they have made it easier for foreign investors to operate within their jurisdictions. In fact, one of the features that attracts investment is the ‘ease of doing business’ in a country. The less strict the regulatory environment, the easier it is to access the local market and do business in that country. Economies have also relaxed their regulatory environments so that foreign investors do not find cumbersome formality requirements to be impediments. On the other hand, while easing the regulatory environment attracts investors, it also has its drawbacks. Firstly, the absence of regulations gives freedom to MNEs to operate which puts local businesses at a disadvantage. Local businesses usually do not have the financial standing, technical know-how and technology to compete on an equal footing with MNEs. Therefore, local businesses find absence of regulations to be a source of their misery. Secondly, the slimming down of regulations becomes a challenge for the economy itself as it makes collection of data more difficult. Data of such nature is generally collected by the national regulators that operate under the statutory garb. Although these regulators create a bottleneck, they still become houses of information and data, which can play a significant role in shaping policy. Thirdly, less regulations put MNEs in an advantageous position such that their stakes become even bigger than those of the economy itself. This is because the degree of control enjoyed by MNEs in such relaxed environments puts them in a stronger bargaining position, while a developing economy depending on the FDI is put in a vulnerable position. Recent trends have shown that corporate restructuring has played a vital role in attracting FDI which has breathed life into the economies of many countries. The stock of FDI has been on the rise since the last century and even though a decline has been seen in recent years, the overall shape still looks good. The IMF reported that from 1990 to 1997, the inflows of FDI witnessed an average rise of 13% per annum, while between 1998 to 2000 they witnessed an astounding augmentation of approximately 50% annual increase. Among such trends, one eye-catching phenomenon had been the amount of FDI inflow being received by developing countries. In a decade from 1990 to 2000, such inflows in developing countries swelled to approximately 23% per annum. The OECD’s report showed a 25% increase in global FDI in 2015, reaching USD 1.7 trillion that year. Inflow and outflow trends have been shifting but it is now evident that developing countries are attracting more FDI due to the opportunities they present to investors, while developed countries reflect overcapacity. This does not imply that developed nations have ceased to receive inflows – they have, in fact, remained the major recipients of FDI as they have developed new sectors where investors are pouring in the investment. It is being observed that technology-centered investment has been dominating recently as the world is gearing towards a digital economy. The digitisation of economy is a gradual process and is expected to spread very rapidly since MNEs will have their share of advantages in it. MNEs consider various factors before deciding to invest in a foreign country. They need to balance the risks with rewards and thus need to adopt a holistic approach while determining the feasibility of the host country. They consider the country’s openness to trade, factor endowment, politico-economic and social stability, financial structure and investment in basic infrastructure and human capital while assessing the feasibility of the host nation (Toulaboe, Terry and Johansen, 2007). Furthermore, it has been demonstrated that MNEs do not restrict themselves to the examination and scrutiny of only the traditional factors (Laudicina, Gott, and Phol, 2010; Laudicina and Pau, 2008). Some of these factors will be examined in the next article where FDI and its relationship with IPRs will also be analysed. Jones, G. The Evolution of International Business. London: Routledge, 1996. Toulaboe, Dosse & Johansen, Thomas. (2011). FOREIGN DIRECT INVESTMENT AND ECONOMIC GROWTH IN DEVELOPING COUNTRIES. Laudicina, P.A., Gott, J., and Phol., S.Investing in a Rebound—The 2010 A.T. Kearney FDI Confidence Index. Chicago, IL: A.T. Kearney, Inc., 2010. Laudicina, P. A. and J. Pau (2008). New concerns in an uncertain world: The 2007 AT Kearney foreign direct investment confidence index, AT Kearney. The author is an LLB (Hons) graduate and holds an LLM degree in IP and IT Law from the Huazhong University of Science and Technology, Wuhan, China. He currently serves as Assistant Manager, Legal and Compliance at Fauji Foundation, Rawalpindi.